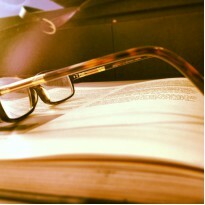 I really like reading and I devote a lot of my free time to reading. I won't review as many books as I read, partially because I'm in my last year of secondary school and grades, yeah... so. A very interesting and different fantasy book. I first realised half-way through the book that it was written in 1967 (my mum was only 4 years at that time!). So I think you could easily say that it is very controversial. 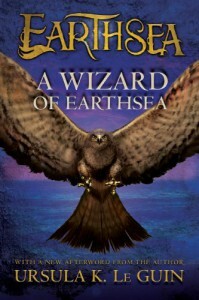 The story is about Ged, who, in a very young age, finds out that he is a wizard. First he trains with his aunt, the village witch, then later with the silent wizard Ogion, who helps saving their village. He also travels to Roke to be taught by the best of wizards. He gains friends, and learns fast, but he also does mistakes and one of them nearly costs him his life. He has to learn to fight his own battle, even his own shadow, to truly learn who he really is.